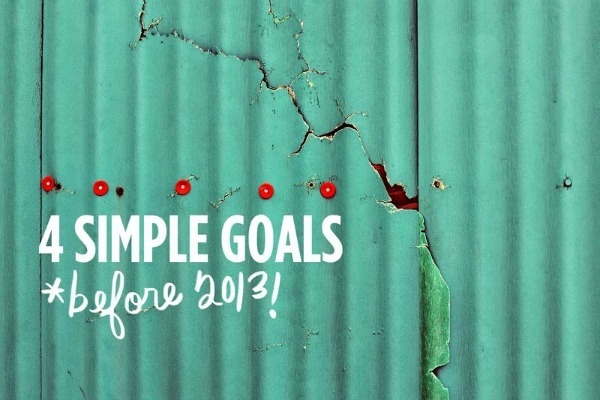 As you probably remember from this post, I joined Elsie's challenge to accomplish four simple goals before 2013. One of my goals was to hula-hoop as often as possible. 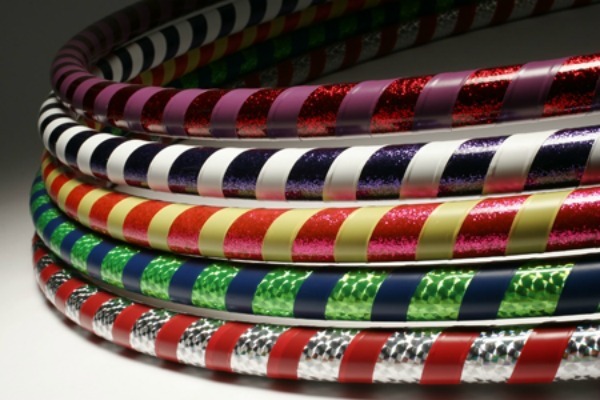 Each of my kids has a hula-hoop like the ones below; large and wrapped in really cool tape. I decided to start using one of them to get myself moving. My plan was to hula during commercial breaks, in-between projects and any patch of minutes I wasn't involved in something. It started out well, I brought it into the house and used it. I loved it but it seemed that no matter where I did it or when, there were complications: people couldn't get around me to the kitchen or it was distracting from chores or homework to see Mom hula-hooping. So I leaned it against my bookcase and it became somewhat immobile. Then a strange thing happened. Seeing it there everyday was a reminder to get up, to do something, to move. I started doing little stretches or short walks through the house or a bit of housework in-between projects. What happened was that even though I wasn't hula-hooping, I was moving! The hula-hoop became an icon of movement; my exercise logo. So hopefully it isn't against the rules (sorry Elsie), but I'm tweaking this goal; it'll now be to move as often as possible, and if that sometimes includes a hula-hoop, then I'll happily oblige. Oh my...if I tried to hoop it...well...I won't go there. I tried out a couple of hula hoops in the store one day. The ones with water in them seemed harder to move. I'm sticking to the old fashioned ones...or maybe I'm just old and that's why it wouldn't move. Thanks Angela, it's helping me get lots done! I haven't tried a hoop with water, that does sound harder. sometimes we have an intent to do something using a certain method, but that method gets replaced but the intent remains!